“The Apostles gathered together with Jesus and reported all they had done and taught. When he disembarked and saw the vast crowd, his heart was moved with pity for them, for they were like sheep without a shepherd; and he began to teach them many things.” -Mark 6:30-34. 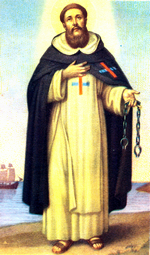 The life of Saint John of Matha, born in southern France of an illustrious family, was consecrated to God by a vow at his birth. His life from his youth was exemplary, by his self-sacrifice for the glory of God and the good of his neighbor. As a child, his chief pleasure was serving the poor; and he would say to them that he had come into the world for no other end but to care for them. He served every Friday in a hospital, and obtained for the sick whatever they needed. Later he studied in Paris with such distinction that his professors advised him to become a priest, in order that his talents might render greater service to others. For this purpose John gladly sacrificed his high rank and other worldly advantages. At his first Mass an Angel appeared, clad in white, with a red and blue cross on his breast, and his hands reposed on the heads of a Christian and a Moorish captive. To comprehend what this vision might signify, John went to Saint Felix of Valois, a holy hermit living near Meaux, under whose direction he led a life of extreme penance. Another sign was given the two hermits, by a stag they saw with a red and blue cross amid its antlers. The two Christians then set out together for Rome, to learn the Will of God from the lips of the Sovereign Pontiff. Pope Innocent III consulted the Sacred College and had a Mass offered in the Lateran basilica to understand what God was asking. At the moment of the Elevation, the Pope saw the same Angel in the same vision as had been given Saint John. He told the two servants of God to devote themselves to the redemption of captives, and for this purpose they founded the Order of the Holy Trinity, whose habit was first worn by the Angel. The members of the Order fasted every day, and after preaching throughout Europe, winning associates for their Order and gathering alms to buy back captives, went to northern Africa to redeem the Christian slaves taken prisoner during the Crusades or while traveling on the seas. They devoted themselves also to the many sick, aged, and infirm captives whom they found in both northern Africa and Spain, and who were unable to travel and thus to return home. Saint John on one occasion was assaulted in Morocco and left, in his blood, for dead. He was preserved by a miracle, and took up his charitable services again. On his second return from Tunis he brought back one hundred and twenty liberated slaves. But when he was about to undertake another voyage, the Moors attacked the ship and disabled it before it could sail, removing the rudder and sails. 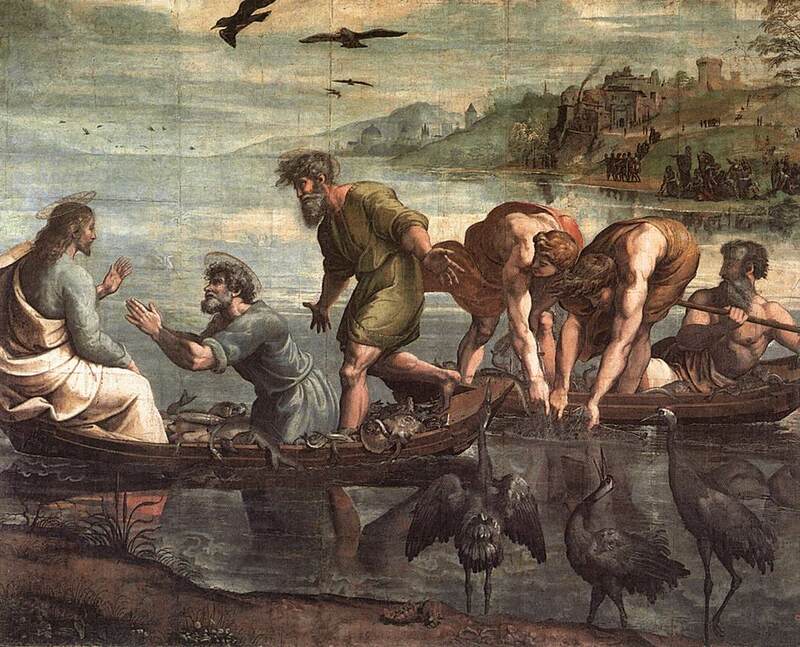 Saint John told the passengers to take the oars and set out just the same, then he prayed on his knees to the Star of the Sea, prayers which the sailors and passengers repeated after him. He tied his cloak to the mast, saying, Let God arise, and let His enemies be scattered! O Lord, Thou wilt save the humble, and wilt bring down the eyes of the proud. Suddenly wind filled the small sail, and a few days later brought the ship safely to Ostia, the port of Rome, three hundred leagues from Tunis.